Peter Saville is a graphic designer best known for his work for Factory Records, where he designed numerous record sleeves, most notably for bands Joy Division and New Order. 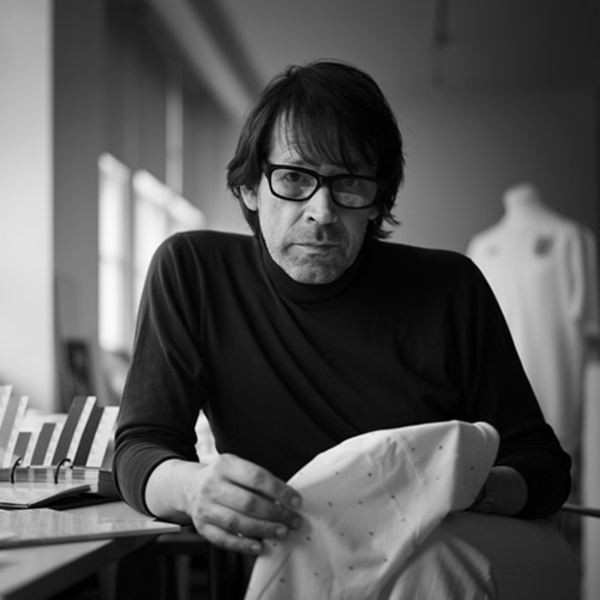 His long successful career in design has included significant consultancy clients such as Selfridges and EMI, as well as commissions from the field of fashion; collaborations with Transport for Greater Manchester and acting as a Creative Director for the City of Manchester; and a solo exhibition at the Design Museum in London. 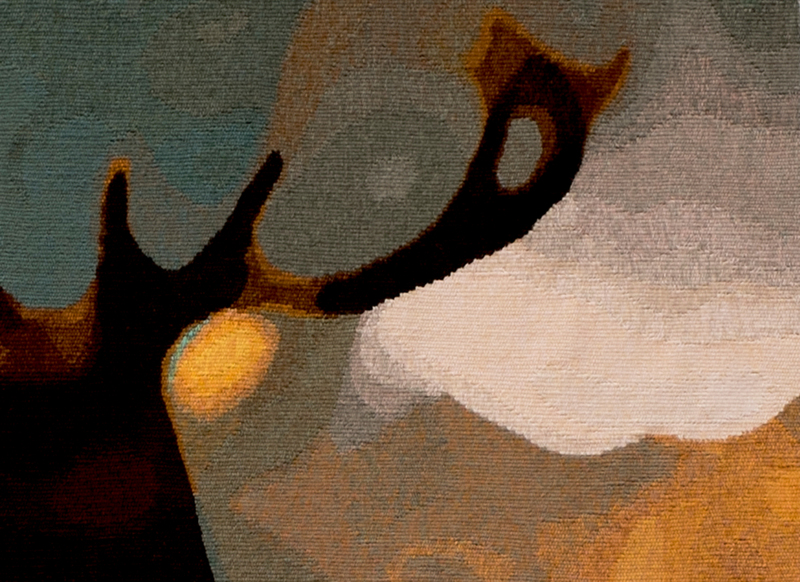 Dovecot Tapestry Studio collaborated with Saville through Paul Stolper Gallery, creating the After, after, after the Monarch of the Glen tapestry in 2012. In that work, Saville re-visited a work by fellow music-obsessed artist Blake, who in turn borrowed the traditional Scottish imagery of Landseer’s Victorian masterpiece, Monarch of the Glen, painted in 1851 and part of the National Galleries of Scotland’s collection.